Gatherings at Lyndwood is a 55+ community located in Elkridge, Maryland. Active adults can enjoy the charming clubhouse that offers plenty of space for activities and events. Gatherings at Lyndwood offers adults aged 55 and better a low-maintenance lifestyle in a quiet neighborhood setting. This age-restricted community also provides residents with easy access to major highways, shopping, dining, golf, and attractions within Howard County. 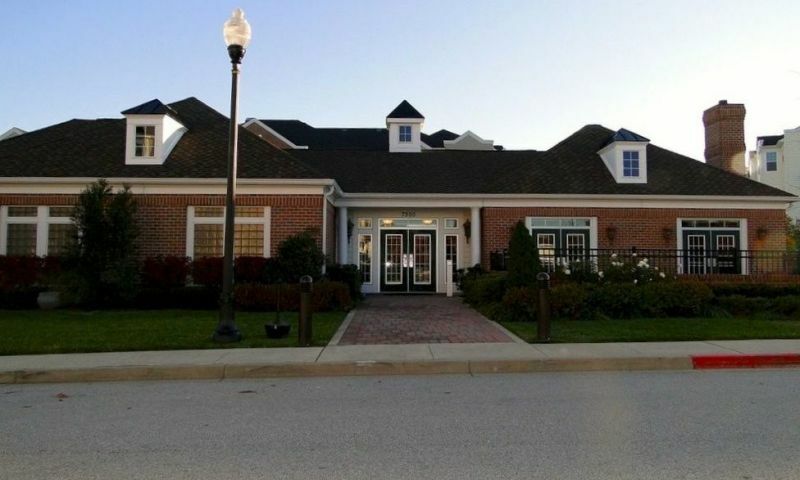 Active adults living in Gatherings at Lyndwood can enjoy the charming clubhouse. The clubhouse is located in the center of the community and features great spaces for social activities and physical recreation. The clubhouse has an exercise room where residents can stay in shape, a lounge where they can hang out with friends, and a craft room where they can pursue their creative talents. A catering kitchen is also available in the clubhouse where homeowners can prepare snacks for a party or event. Outdoor amenities are sure to please homeowners as well. The heated pool is great for a relaxing swim and the spacious patio is a great area to rest on a lounge chair during the warmer months of the year. A tennis court, walking trails, and plenty of natural open space round out the rest of the outdoor amenities. Beazer Homes began construction of Gatherings at Lyndwood in 2005 and completed this charming neighborhood by 2008. This age-restricted community consists of eight four-story buildings with a total of 216 units. All condo buildings feature stone and brick facades, intercom systems and automatic locking doors in the lobbies, and elevator access. Homebuyers can choose from four floor models, such as Aspen, Bradford, Chestnut, and Dogwood, which are available on a resale-only basis. These condo residences have two bedrooms, two bathrooms, and either an attached or a detached garage. Condos feature tray ceilings in living rooms, a den or sitting room, spacious master suites, walk-in closets, ceramic-tile tubs, hardwood cabinets in kitchens, and a private deck or patio. Some units enjoy golf course views. Residents of Gatherings at Lyndwood enjoy a maintenance-free lifestyle because they don’t have to worry about tedious chores. The homeowners’ association (HOA) fee includes maintenance for the clubhouse, amenities, and exteriors of the building. It also covers lawn care, snow and trash removal. Instead, residents have more time to participate in fun activities at the clubhouse or entertain guests in their own home. Some of the community activities include day trips, arts and crafts, tennis, seasonal parties, golf outings, and neighborhood events. Ideally situated in Elkridge, Maryland, Gatherings at Lyndwood offers many attractions nearby. This 55+ community is adjacent to the public Timbers of Troy Golf Course, which is sure to please avid golfers in the area. The community is located near many shopping and restaurant options down Marshalee Drive. Residents have quick access to Interstate 95 and 100 making trips to Columbia, Baltimore, and Washington D.C. a breeze. Homeowners who need to travel longer distances can board a flight at Baltimore’s airport, which is only 20 minutes away. Gatherings at Lyndwood is a quiet 55+ community with great amenities and a convenient location for active adult homebuyers in Howard County, MD. There are plenty of activities available in Gatherings at Lyndwood. Here is a sample of some of the clubs, activities and classes offered here. There are 216 condo units within eight buildings. Each building has four floors with elevator access. These units are available on a resale-only basis and have two bedrooms, two bathrooms, and either underground garage parking or a detached garage. Condos feature tray ceilings in living rooms, a den or sitting room, spacious master suites, ceramic-tile tubs, hardwood cabinets, and a private deck or patio. 55places.com is not affiliated with the developer(s) or homeowners association of Gatherings at Lyndwood. The information you submit is distributed to a 55places.com Partner Agent, who is a licensed real estate agent. The information regarding Gatherings at Lyndwood has not been verified or approved by the developer or homeowners association. Please verify all information prior to purchasing. 55places.com is not responsible for any errors regarding the information displayed on this website.